(by L. Gordon Crovitz, The Wall Street Journal) – The Internet is often described as a miracle of self-regulation, which is almost true. The exception is that the United States government has had ultimate control from the beginning. Washington has used this oversight only to ensure that the Internet runs efficiently and openly, without political pressure from any country. 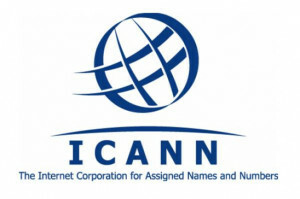 This was the happy state of affairs until last Friday, when the Obama administration made the surprise announcement it will relinquish its oversight of the Internet Corporation for Assigned Names and Numbers, or Icann, which assigns and maintains domain names and Web addresses for the Internet. Russia, China and other authoritarian governments have already been working to redesign the Internet more to their liking, and now they will no doubt leap to fill the power vacuum caused by America’s unilateral retreat. Why would the U.S. put the open Internet at risk by ceding control over Icann? Administration officials deny that the move is a sop to critics of the National Security Agency’s global surveillance. But many foreign leaders have invoked the Edward Snowden leaks as reason to remove U.S. control – even though surveillance is an entirely separate topic from Internet governance. According to the administration’s announcement, the Commerce Department will not renew its agreement with Icann, which dates to 1998. This means, effective next year, the U.S. will no longer oversee the “root zone file,” which contains all names and addresses for websites world-wide. If authoritarian regimes in Russia, China and elsewhere get their way, domains could be banned and new ones not approved for meddlesome groups such as Ukrainian-independence organizations or Tibetan human-rights activists. Until late last week, other countries knew that Washington would use its control over Icann to block any such censorship. The U.S. has protected engineers and other nongovernment stakeholders so that they can operate an open Internet. Authoritarian regimes from Moscow to Damascus have cut off their own citizens’ Internet access, but the regimes have been unable to undermine general access to the Internet, where no one needs any government’s permission to launch a website. The Obama administration has now endangered that hallmark of Internet freedom. The U.S. role in protecting the open Internet is similar to its role enforcing freedom of the seas. The U.S. has used its power over the Internet exclusively to protect the interconnected networks from being closed off, just as the U.S. Navy protects sea lanes. Imagine the alarm if America suddenly announced that it would no longer patrol the world’s oceans. In the past few years, Russia and China have used a U.N. agency called the International Telecommunication Union (ITU) to challenge the open Internet. They have lobbied for the ITU to replace Washington as the Icann overseer. They want the ITU to outlaw anonymity on the Web (to make identifying dissidents easier) and to add a fee charged to providers when people gain access to the Web “internationally” – in effect, a tax on U.S.-based sites such as Google and Facebook The unspoken aim is to discourage global Internet companies from giving everyone equal access. The Obama administration was caught flat-footed at an ITU conference in 2012 stage-managed by authoritarian governments. Google organized an online campaign against the ITU, getting three million people to sign a petition saying that “a free and open world depends on a free and open web.” Former Obama aide Andrew McLaughlin proposed abolishing the ITU, calling it “the chosen vehicle for regimes for whom the free and open Internet is seen as an existential threat.” Congress unanimously opposed any U.N. control over the Internet. But it was too late: By a vote of 89-55, countries in the ITU approved a new treaty granting authority to governments to close off their citizens’ access to the global Internet. This treaty, which goes into effect next year, legitimizes censorship of the Web and the blocking of social media. In effect, a digital Iron Curtain will be imposed, dividing the 425,000 global routes of the Internet into less technically resilient pieces. Ms. Dyson calls U.N. oversight a “fate worse than death” for the Internet. The alternative to control over the Internet by the U.S. is not the elimination of any government involvement. It is, rather, the involvement of many other governments, some authoritarian, at the expense of the U.S. Unless the White House plan is reversed, Washington will hand the future of the Web to the majority of countries in the world already on record hoping to close the open Internet. 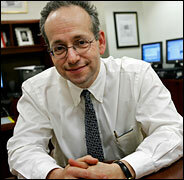 Mr. Crovitz, a former publisher of The Wall Street Journal, writes the weekly Information Age column. Published March 18, 2014 at The Wall Street Journal. Reprinted here March 20, 2014 for educational purposes only. Visit the website at wsj.com. Write to your Senators and Representative to express your support for, or opposition to the U.S. giving up oversight of Icann. Remember to be clear, concise and polite.